Dr. Khaled Saeed has been a practicing interventional cardiologist for more than 14 years; he is currently an assistant professor of cardiovascular medicine at the Cardiology Department in Ain Shams University. 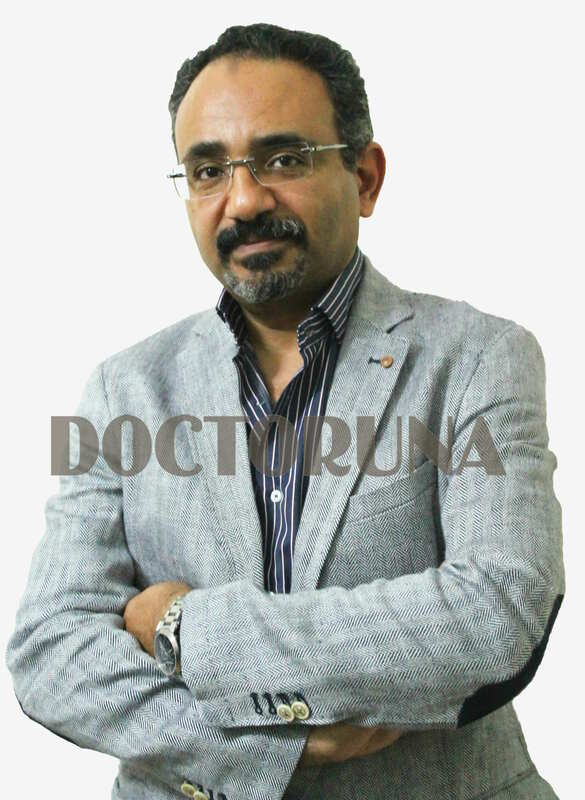 With a prestigious and extensive work record in interventional cardiology at hospitals in Egypt and Saudi Arabia; Dr.Saeed is highly experienced in both invasive and non-invasive cardiology. Dr. Saeed was a consultant interventional cardiologist, Head of Cardiology Department in Jeddah Clinic Hospital, Jeddah, KSA and a consultant interventional cardiologist at the Royal Commission Hospital in Jubail, KSA. In Egypt, Dr. Saeed was the Unit Director of Ain Shams University Hospital Cath Labs, as well as, being a consultant at Dar Al Foad Hospital, Ain Shams University Hospital and Ain Shams University Specialized Hospital. Currently Dr. Saeed is a consultant interventional cardiologist at Egy Heart Center, Makkah Hospital and Golf Specialized Hospital. “Reliability of Atrioventricular Plane Displacement in Early Detection of Ischemic Myocardial Dysfunction in Patients with no Resting SWMA”. The Scientific Magazine of Al Azhar University Faculty of Medicine Girls Vol. 25 No. 3, September2004. “Early Non Invasive Assessment of Altered Cardiac Functions and Autonomic Control in Patients with Systemic Sclerosis: Relation to Disease Subtypes, Clinical Manifestations, and Auto Antibodies” The Egyptian Rheumatologist. Vol.28 No.3, September 2006. “Risk Factors for Cerebrovascular Stroke after Coronary Artery Bypass Grafting” The Egyptian Magazine of Cardiothoracic Surgery. December 2006. “Pre-discharge B-Type Natriuretic Peptide in Acute Anterior STEMI: Prediction of Delayed Mortality” The New Egyptian Journal of Medicine Vol: 36 No:1 Sup: Jan 2007. “Carotid and Femoral Intima-Media Thickness as a Predictor of Premature Subclinical Atherosclerosis in Systemic Lupus Erythematosus Patients” The New Egyptian Journal of Medicine Vol: 36 No: 1 Sup: Jan 2007. “Anti-inflammatory Cytokine Interleukin-10: Its Possible Role in Pathogenesis of Acute Coronary Syndrome” The New Egyptian Journal of Medicine Vol: 36 No: 2 Sup: Feb 2007. “Pulmonary Vein Ablation-Isolation as a Treatment of Paroxysmal Atrial Fibrillation” The New Egyptian Journal of Medicine Vol: 36 No: 2 Sup: Feb 2007. “Role of exercise stress test in diagnosis of atrial lead malfunction in permanent pacemaker” The New Egyptian Journal of Medicine Vol: 31 No: 5 Sup: Nov 2004.